Drying is not limited to fruit, vegetables can also be dried. Most of the water is removed in that process, which prevents mould growth and thus provides long life for the dried vegetables. 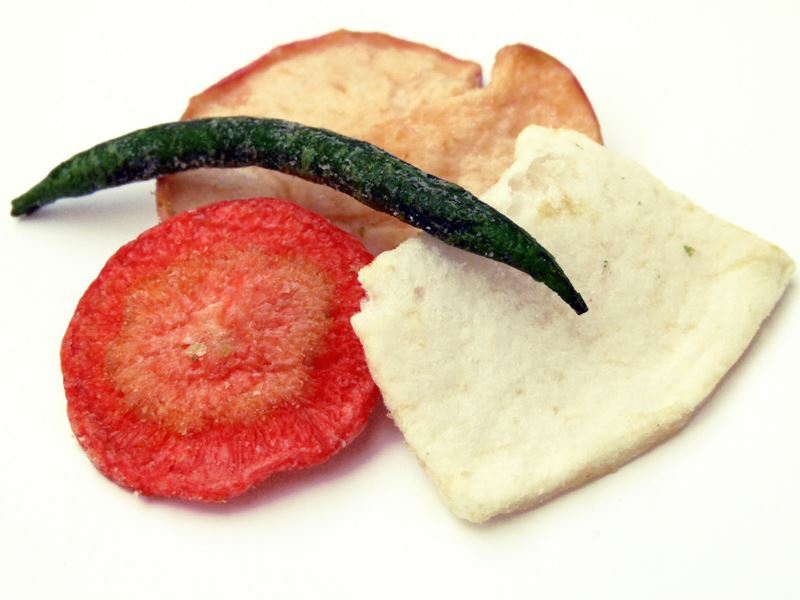 The substances in the vegetable are concentrated after drying. These are healthy vitamins, important mineral nutrients such as potassium, calcium, phosphorus, magnesium and iron, carbon hydrates and fibre.